I get asked this question quite often by people not from the U.S. that want to get into drop shipping. Most of the questions come from non-americans who either want to sell to the U.S. market or start a store in their home country. This post has been updated for 2016 as it's gotten easier for most countries. As a Non-U.S. citizen you have two choices when starting an online drop shipping business. 1. Set up a U.S. based LLC and get a U.S. Bank Account. 2. Set Up a Dropshipping business in your home country. I've personally met a few non americans who have had success going this route, including a guy from Israel, one from the UK and an Australian. You get to sell to Americans who already love buying stuff online. You get access to thousands of companies who already dropship. Your supplier and customers won't need to know you aren't in the U.S.
You can easily hire a U.S. based assistant to answer your customer calls. You have to set up an LLC and get a U.S. Bank account. It will cost you around $350 to set up. You will have to compete against the thousands of U.S. based companies. Ad prices in the U.S. are higher than anywhere in the world. There are a already a lot of established U.S. online businesses such as Amazon.com that you'll have to compete against. 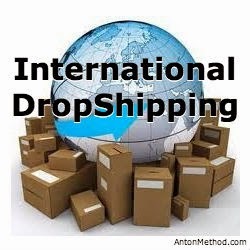 Yes you can follow Anton's Method to start a U.S. based dropshipping business. 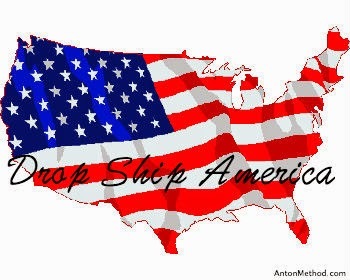 The Drop Ship Lifestyle works for non-Americans. It will take you a few hundred extra dollars and a few weeks to set up a U.S. company and you will have to get an American bank account. It's more hassle than being a U.S. citizen, but it's definitely doable. 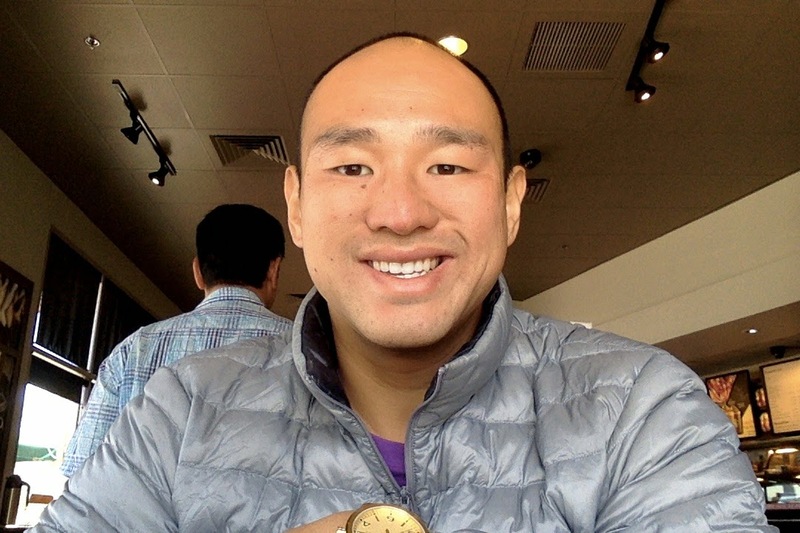 Think of it is 5 steps easier than becoming a U.S. citizen, if you are willing to go through those steps it'll work, if not, I would first go through David Vu's ebay course as you can do it world wide (anywhere that allows paypal). As for calling suppliers, answering phones yourself when you first get started and setting up the business while not in the U.S, it's easy. I started my first drop ship store when I was in Thailand. I used a skype number and stayed up until midnight to call suppliers. I've met two Aussies, and a couple of people from the UK who have followed Anton's Method to learn about drop shipping, picking the right niche, competitor research, calling suppliers, setting up their store and getting traffic and instead of doing it in America, they did it in their home country. 2016 Update: Since I wrote this, I've met 20+ Australians who have made it work in Oz and are profitable so it definitely works there, other countries that I've met people who have done it successfully include the Netherlands and Sweden. Online advertising prices are extremely low. A 45 cent click in the U.S. might only be 5 cents. Huge companies such as Amazon.com are still trying to get a foot hold outside of the U.S.
Customers want to buy from their local country if possible to save on shipping and time. A lot less companies offer drop shipping so finding ones that do will take a lot longer. Less people buy stuff online in other countries than Americans who are already used to it. Everyone who I have met who is successful using Anton's Method outside of the U.S. took longer to get started initially but because of the higher barrier to entry, they are also killing it and have a huge leg up on their competition compared to U.S. based companies. Some of them, especially the ones with small items drop ship from the U.S., and a few have found companies based in their home country who drop ship, although they took longer to initially find. A few of them have also started importing products that were selling well, after testing the market first with drop shipping. Now they are making serious profit margins and saving a ton of time on shipping. If you are not a US Citizen and want to start a business in America, you'll have to register for a corporation. I personally recommend starting an LLC which is a limited liability company. I've done a bit of research on what state is best to be based out of and personally chose Wyoming so I recommend that. The two services you'll need is an LLC with a registered agent, and a Tax Exemption Certificate. After a lot of research in the member forums of Anton's course, I ended up going with MyUSACorporation which I recommend and personally use. 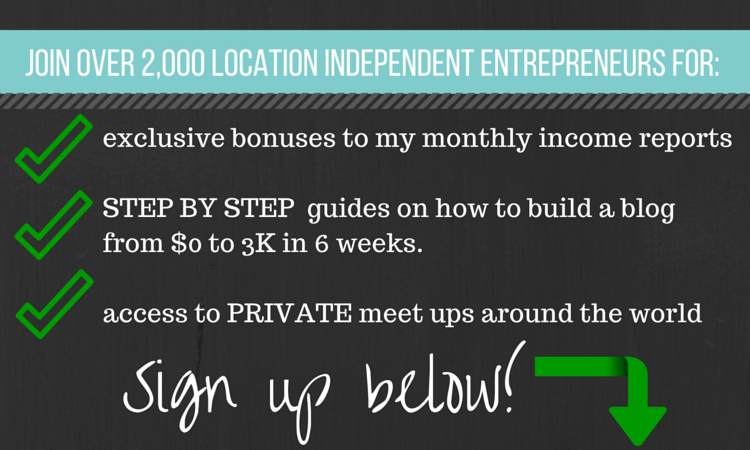 If you want to use my link below, you can get $25 off as a bonus. If I lived in the UK, Australia, Canada or Western Europe, basically anywhere that has at least a developing eCommerce industry where you've personally bought something online I would do method 2 even though it'll take longer to start up. The harder the barrier of entry for you, the harder it will be for future competition as well. By getting started now, there is a big chance that you will become the go to website for your niche. First to market is a huge advantage. If I lived a country and have never bought anything online ever, and none of my friends or family bought online either, then I would do method 1 and just follow Anton's course as normal. The only difference would be, for U.S. citizens, we have the option of either starting the business as an LLC which is better, or starting as a sole proprietorship under our own name which is easier. You would have to start as an LLC. I honestly think non-U.S. citizens have a huge opportunity to make a ton of money in eCommerce. A lot of American's buy everything from Amazon, Costco or Walmart no matter what, so it's really hard to compete against them. In Anton's Course he basically says, you'll never be able to compete against them, but here are a few ways you can get a part of their sales. In other countries where these big companies haven't taken over yet, you have the chance to become the authority. I've personally met people who have taken competitive niches in the U.S. and basically just did the same thing in their home country and are doing extremely well. Even for my own eCommerce stores I don't ship internationally as I don't want to deal with having to get shipping quotes, but even then I still get customers from Europe or Australia who contact me as they can't find a local dealer. Basically this is what I recommend, follow Anton's Method, use the information there to learn what works in the U.S., find a niche that sells well in America, and then do it in your home country. You have such a good opportunity to be first to market, take advantage of it while you can. Good Luck and best wishes. If you do decide to start an eCommerce store, please use my links in the Recommended Resources page so I can get credit for referring you. This is Jon the other Asian American guy in Thailand. Good post. I was just going to ask you how would you go about calling suppliers while residing in Thailand but you already answered my question in this post. Im in the process of setting up my shopify site. Another question though is how do you go about making payments on your credit card while in Thailand. Hey Jon, I'm glad this post answered a lot of your questions. As for making payments on your credit cards, just set up online banking. 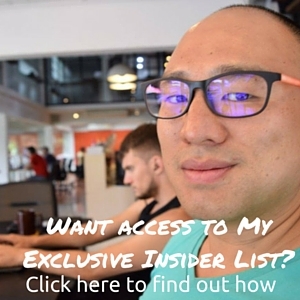 Just read this post I'm an Australian currently in Chiang Mai working on my own drop shipping site!! i just want to say Thank you for all your posts either via youtube or your blog i would never of made this far without your help THANKS keep the post coming. Hey Joshua, glad you've enjoyed the blog and videos. The $250 a month apartment is currently full as I went to look for a friend and they were booked for the next 4 months. But just walk around whichever neighborhood you want to live and ask around as there are a ton of places like that. Hope all is well in your world, Gav..
Its been a pleasure reading your blog. As for dropshipping, for the niche circle that I have selected, suppliers in my country own offline retail stores, furthermore, they have sort of ecommerce stores as well (although with no e-payment). Johnny, do you think its a good idea trying to establish dropship partnership with 3 (distribution, showroom, online store) in 1 companies or should I try to look for classical wholesalers? Hey Darky, glad you have been enjoying my blog. I would go straight to the manufacturer always if possible first. You'll get better margins and support through them. Then as a backup I would settle for going through a wholesaler middleman. Good luck on your stores! Thank you! I was wondering about it too as a non us citizen. I somehow got to listen to your podcast and getting so much inspiration! I saw you at punsapce, and registered Anton droshipping retreat. Hope to see you and other inspiring ppl there! Thanks for your positive energy and encouragement! Hey Jiwon, no worries! Best of luck and keep motivated! Hey Johnny, great post, I'm not put off and will have a crack at the second method, its the long way but the best way. Will be in touch in the flow man, till then all the best. Oss. Gav..
Do you know anyone who has implemented Anton's course in Hong Kong? Hey Matthew, nope never met anyone who is doing it in HK or China, you'd be the first. Hey Antonio, look in my resources page (http://www.johnnyfd.com/p/resources.html) I have a link to MyUSACorp which is where I got my LLC. You have to have an EIN before you start contacting suppliers so do that first. Also when you sign up for www.AntonMethod.com you'll have access to the member forums where there are a lot of people who have gone through the process already. Hi Johnny, great blog! Really enjoying it. Keep up the good work :-) Just a question along these lines: I am an American living in Australia, I've been here 15 years and I have a US bank account still. However because I have been out of the country so long when I apply for a credit card, my credit history there is so old it must not be applicable because I am getting rejected, even with the bank in which I have an account! Any thoughts on ways around this easily? Is it possible to link Paypal account to a bank card and then use that to purchase from suppliers? Just wondering? Thanks! This is Steve from Singapore. Thanks a lot for your valuable and useful info in your blog. I am going to start my dropshipping business too. As a Non US Citizen, If I am going to sell in the states & run my business in Singapore, Can I just use merchant service like Paypal Business Account & Credit Card to deal with the US suppliers ? Can we skip the part which we need to open a US bank account ? Hey Steve, glad you enjoy the blog. The only reason you need a U.S. bank account to is to pay suppliers so having a Paypal Business Credit Card or a Payoneer card would be fine. You can just skip it. Also in Anton's course (www.AntonMethod.com) he talks about how you can get around needing bank references by prepaying for everything as well. Great information. I also listen to your podcasts. If a person decides to go with option #2 does that mean that they aren't able to sell to US customers? Because that's what I'm understanding from this article or that it's much harder. But if it's a web-based business then you should be able to sell to anyone, anywhere especially since you don't handle physical products. Or is it that American manufacturers are less likely to work with an international company because you don't have an EIN which means looking into local manufacturers? If you go with option 2, most likely you won't be selling from USA suppliers for two reasons. 1. Shipping Costs and Shipping Times from the USA to your country will deter your customers from wanting to order. 2. US Suppliers may not want to deal with the few international orders you'll give them because of option 1. If you sell in Australia you'll want Australian suppliers for example. Gina here - a newbie. I have no niche but really want to get into this eCommerce, with hopes of selling to the USA. I am Canadian, and feel that most Canadians buy from USA eCommerce websites. And if those sites don't ship to Canada, many of us drive to the border to pick up our items. So in short, I feel just marketing to Canadians is a disadvantage, and when comparing Cad prices to USA prices on web sites, the USA sites area often better priced. However, I just discovered all the red tape to deal with and am confused. Any advice? Have you met many Canadians doing this & what they tended to lean towards? Thanks! i was just wondering to start dropshiping and contacting suppliers. first i am from canada. so all i would need is to have an LLC and US bank account (i'll use payoneer most likely) to start dropshiping in US market?? i currently do kindle, and affiliate marketing. focusing more on affiliate marketing now since i kind of realized im making a bit less on kindle now. i'll probably do dropshiping via anton method as a side hustle. Hey Robert, glad you're making a bit of money with both kindle and affiliate marketing. You can do it through Payoneer or a similar service. Or you can visit the U.S. and open one there while in person. Hey Hohnny, I have heard that you can dropship in the USA if you live in another country, but so far no one has been able to tell me how to go about it. For example in the Amazon account that I should set up, do I say I live in the USA or in Africa? 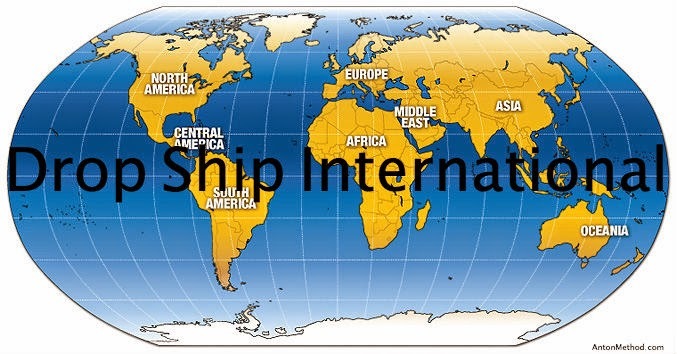 I know this might sound like a silly question, but I’m afraid that if I say I live in Africa and dropship to US customers from US suppliers they will see that it is dropshipping because my Amazon account says Africa and that shipping price is impossible. On the other hand, I don’t know if i am allowed to say that I live in the US in my Amazon account when that is not true. I am just starting off, only want to buy and sell a few products and see how that goes as an individual, not as a business. if all goes well then I will obviously consider starting a business and fulfilling all the legal requirements around that. My main concern is how to set up my Amazon account? How does everyone else manage to do this? I would appreciate your advice! Hey Unknown, first off it's Johnny not "Hohnny" and I suggest you read the post again more carefully as it explains your question exactly. With ANY business no matter where you do it in the world, you need to be able to follow directions and figure out obstacles. The good news/bad news is that it hasn't gotten any easier, so it prevents a lot of competition, yet people have figured it out if they go through the steps. It's the same as starting any business in the U.S. There are a ton of steps, but in most courses, or in the member's forums others have done it so it's best to do a search there, or ask there. Thanks for reply Johnny. I suppose it is a good/bad news and there's not much competition due to this. Thanks for all you articles and advices, really valuable to figure things out. 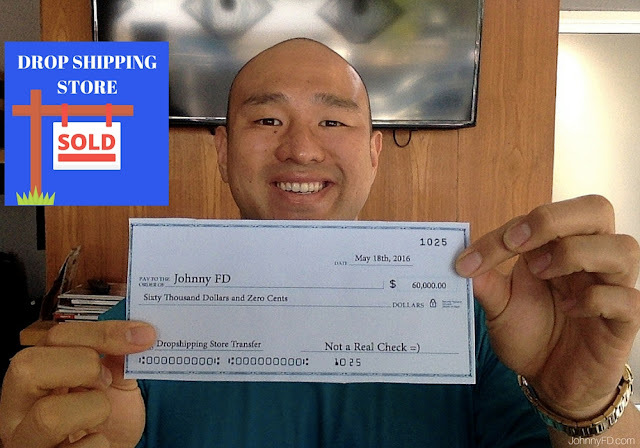 Hi Johnny, thank you for the great blog, I am from egypt and already signed to Anton's course I already created an LLC and am now looking into methods of paying suppliers. it seems inevitable that i need an american bank account which i think will require for me to travel to the USA ? do u have any knowledge with this regard ? do you know anyone who went through the course and had to set a bank account ? i am willing to visit the USA for a few days if i know exactly which bank to go to and what are the exact documents as i feel there could be so many things that go wrong if i just go there and then see how i can do it especially that i will not be able to stay for a long time. i have my sister who lives at usa, how can she help me on my ebay dropshipping business?can i use her credit card informations to pay us merchants from my country(Morocco Africa)? Yup it should work fine. Let us know how it goes! JFD, you said "I've done a bit of research on what state is best to be based out of and personally chose Wyoming so I recommend that. " What was the reason you went for Wyoming and has that opinion changed since you posted that opinion/comment ? Does it matter about it not being one of the 5 states with no sales tax regarding Nexus and sales tax implication if you sold to that state, or is it irrelevant for non-US citizens living outside USA ?